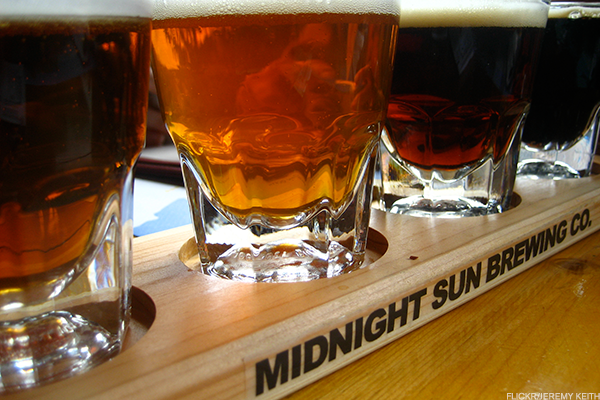 These Black Market Beers Cost More Than Your Monthly Income! 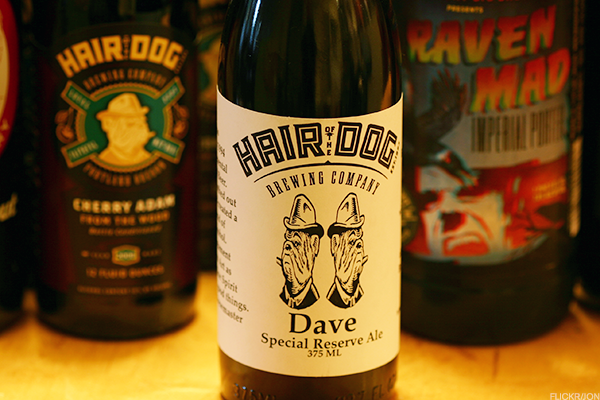 Reselling beer is illegal, but high-priced rarities are too much for geeks to resist. Ready to tap that asset? 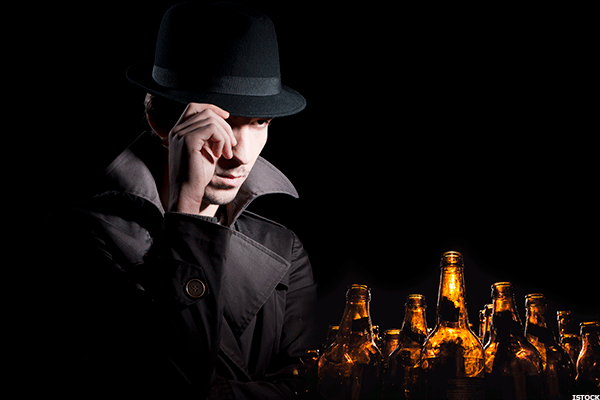 There is nothing legal about black-market beer sales, but that doesn't stop them from being lucrative. Each day, people across the U.S. and around the world mail each other beers from different regions with help from UPS and FedEx's forgiving alcohol policies -- or the U.S. Postal Service's lack of interest in examining your "yeast samples" much further. Without a license to ship or state law that allows for shipment of beer, just sending this beer alone flouts the law. When you actually take money for the beer you're sending, that's outright illegal. This has been going on for a long while, and brewers have made it clear that they absolutely hate seeing their beers resold for huge markups in unknown condition. Yet their wares have appeared online at an inflated cost thanks largely to a loophole that allows sellers to list "collectible beer bottles," regardless of whether they're empty or not. Pressure from the beer industry got eBay to forbid the sale of those "collectibles" four years ago, but demand hasn't weakened. Six years ago, craft beer was just 5.7% of the total U.S. beer market by volume, according to the Brewers Association craft beer industry group. Today, it's up to more than 12.2% as volume increased from 11.5 million barrels to 24.1 million during that same stretch. Yet even as the number of breweries in the U.S. has climbed from fewer than 2,000 in 2011 to more than 5,300 today, scarcity remains a favorite marketing tactic among brewers. Scarcity made legends out of beers including Dark Lord imperial stout from 3 Floyds in Muenster, Ind., Abraxas from Perennial Artisan Ales in St. Louis, and Cable Car Kriek from Lost Abbey Brewing in San Marcos, Calif. As other small breweries have embraced special releases as a means of plowing piles of money back into their breweries, there's been an abundance of "rare" beers. These black market beers cost more than some people's monthly income! 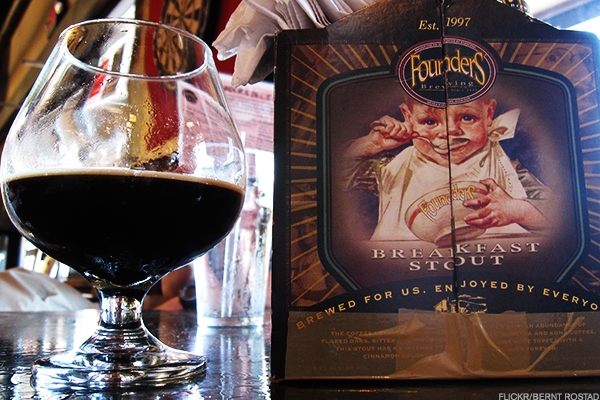 This stout that blends chocolate, coffee and maple syrup flavors before aging them in bourbon barrels is a gem, but it's also a key part of this Grand Rapids, Mich.-based brewery's history. This was released just before Founders announced the sale of a 30% stake of the brewery to Spanish brewer Mahou San Miguel. With those resources, Founders expanded production from 41,000 barrels of production in 2011 to 465,000 this year. This particular release of CBS is still quite rare, but don't expect to see future releases fetching this price on MyBeerCellar.com or other sites. There won't be a second crack at this one. This Anchorage, Alaska, brewery created an 11.6% alcohol-by-volume barleywine for its 10th anniversary and never revisited it. More like a holiday old ale with its liberal use of Belgian candi sugar and caramel, molasses and vanilla notes, M is a treat that should've aged out of its alcohol burn and into a fine northern confection by now. 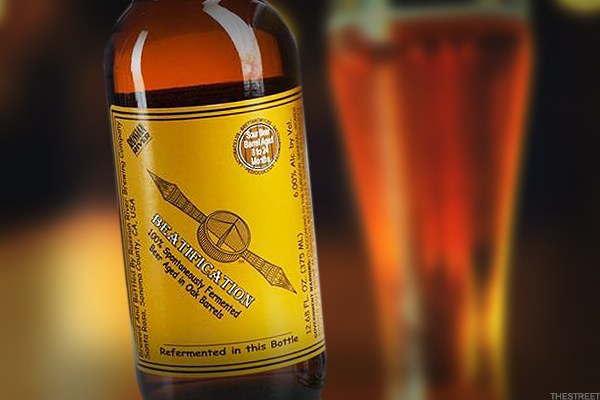 Russian River blew the whistle on eBay sales of its beers four years ago, but making this wild ale with a process similar to Belgian lambics -- open-air cooling in broad, shallow trays and spontaneous fermentation in barrels -- was bound to stir up some interest. They release it every year and put out seven cases at $20 per bottle in 2017, but since this beer is brewed with whatever's floating on the air at the moment, each year's vintage has a personality all its own. If this was just some bike-themed brewery making a bunch of fruit-addled Florida Weisse, it would never fetch that kind of price on the black market. However, this Saint Petersburg, Fla., brewery's barrel program has people waiting in line at 4 a.m. to pay $30 for one bottle of this vanilla, chocolate and strawberry stout. 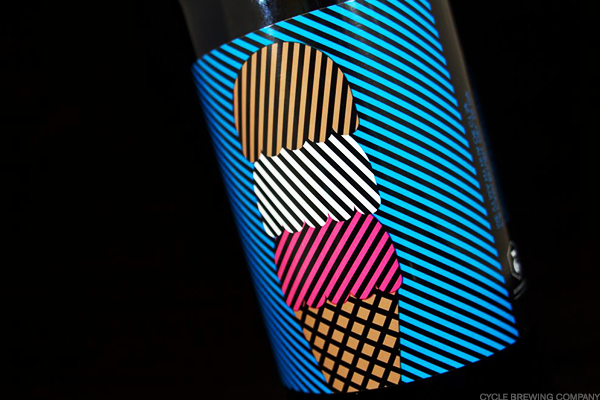 Originally brewed by Doug Dozark at his mom's restaurant, Peg's Cantina in Gulfport, Fla., this collaboration with 3 Sons Brewing of Dania Beach is meant to age into an ice-cream style treat, which makes any bottle that's more than a year old particularly sought-after. Come on, Southampton. You've been at this for roughly two decades, you've won awards at the Great American Beer Festival and you have a clientele in the Hamptons that isn't afraid to pay a premium for what you brew. 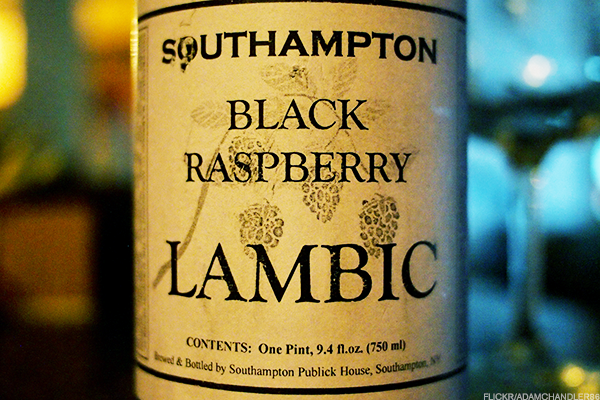 Can you please stop calling it "lambic" unless you move your brewery to the Pajottenland right outside of Brussels and open your koelschips to that air? There's a whole group of folks in Belgium who'd love nothing more than to set you straight on this. Cory King learned his trade at St. Louis' Perennial Artisan Ales before opening Side Project with his wife (and beer-industry veteran) Karen, her brother (and Side Project brewer) Brian Ivers and his wife Erica. The result is a prolific, wide-ranging brewery and cellar program that produces a stout with this name on multiple occasions each year. This particular 15%-ABV wheated imperial stout aged was aged in bourbon barrels with Ugandan vanilla beans for 15 months. Founder Shaun Hill named his honey farmstead ale after his grandfather's sister, Anna, who grew up on the farmland that the brewery now calls home. 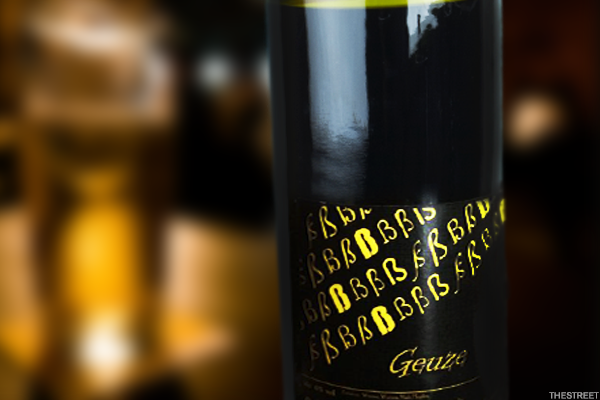 This is the version aged in French oak wine barrels and spontaneously fermented by the farm's resident microflora. These beeswax-dipped bottles fetched around $50 when they were first sold and were doled out through a lottery system. We aren't going to sugarcoat it: Half of the reason someone pays this much for a bottle is to avoid a long, tedious trip to the brewery and complicated ticketing conventions like this. If you have the $1,100 or so to spare, keeping those hours of your life to yourself may be worth it. The German city of Cologne (or Köln) has a brewing culture built around its namesake beer, Kölsch. But Braustelle opened in 2001 specifically to break away from the Kölsch brewing tradition and try more experimental beers. 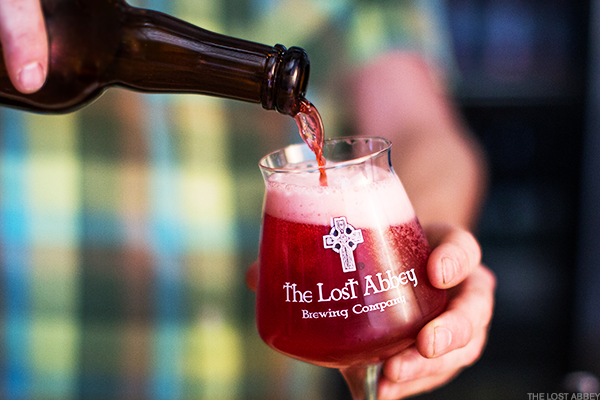 Wheat beers, hoppy hibiscus varieties, sour Belgian styles and wine-soaked French beers dot the landscape, but this take on the traditional blended Belgian lambic drew drinkers' imaginations and money. There were 130 bottles of this made back in 2010, and Braustelle got it right the first time: blending lambic from Hanssens, 3 Fonteinen, Oud Beersel, Cantillon, Lindemans and Mort Subite. 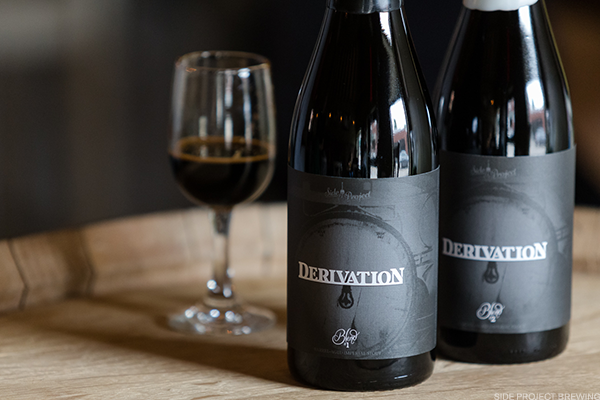 In April, fans of this imperial stout pay $200 to come to the brewery in Muenster, Ind., and pick up four bottles of Dark Lord itself and one bottle of that year's variant. In 2011, 3 Floyds handed out just 433 bottles of this variant that was made with Madagascar vanilla and aged in brandy barrels. This is a beer to be enjoyed strictly in snifters and to be savored like the rare work of art it is. 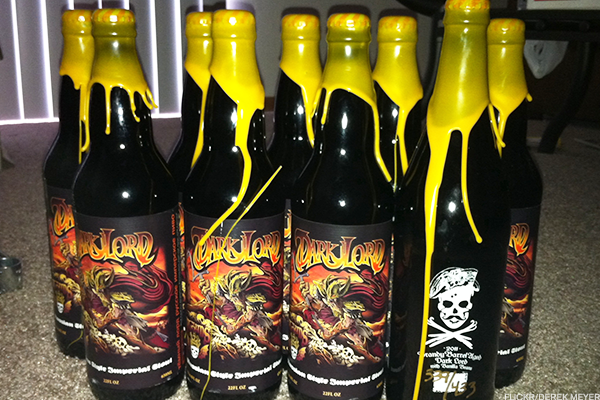 Considering that folks at Dark Lord Day will drink beer spilled from broken bottles of regular Dark Lord off the ground, there's something to be said for enjoying the softened, sweet flavor of this one in the comforts of your own home. Florida's nearly 200 breweries rank 10th in the nation overall, but it still puts the state at 43rd for breweries per capita. Back in 2015, there were about 25% fewer breweries in the state than there are today. That makes lining up for this vanilla-coffee stout in the middle of January seem perfectly logical, given the dearth of other options in this neck of South Florida just south of Fort Lauderdale. In 2006, San Diego-based Pizza Port's brewer, Tomme Arthur, was becoming just a little too skilled to brew for a pizza shop. Pizza Port's owners took over Stone Brewing Company's old space in San Marcos, founded Port Brewing for more mainstream beer styles and gave Arthur space for his Lost Abbey Brewing Company. 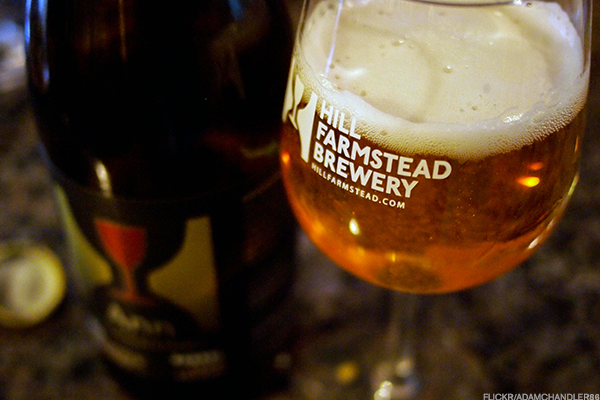 In 2011, Arthur released exactly 60 bottles of this beer, accompanied by a pair of tulip glasses. The main caveat was that it was supposed to be consumed at the brewery and never supposed to leave. Because somebody had to smuggle it out, it sold at a massive premium on its original $50 price. Keep in mind that not even empties were supposed to leave the tasting room, "because of the problem with Internet counterfeiters (yes, people actually take the bottles, refill them with something else and sell them as the real deal)." There are great beer bars and then there are legends: De Heeren van Liedekercke (DHL) in Denderleeuw, Belgium rates among the latter. Just off the E40 between Brussels and Ghent in East Flanders, DHL has an exhaustive cellar of lambics and has had the honor of having lambic brewers Cantillon, Drie Fontinen and Lindemans brew beers in tribute to it. 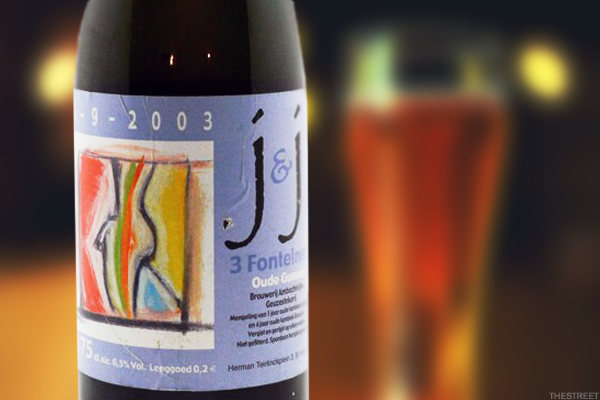 Thus, when owners Joost De Four and Jessie Sorgeloos got married, Drie Fonteinen's Armand Debelder blended this particular geuze for their wedding by using a leftover four-year-old barrel of Girardin lambic with a one-year-old Lindeman's lambic and fermenting it in oak barrels. Both this geuze and the J&J Rose made for the same wedding have popped up both on resale sites and at auction at Skinner Auction House. 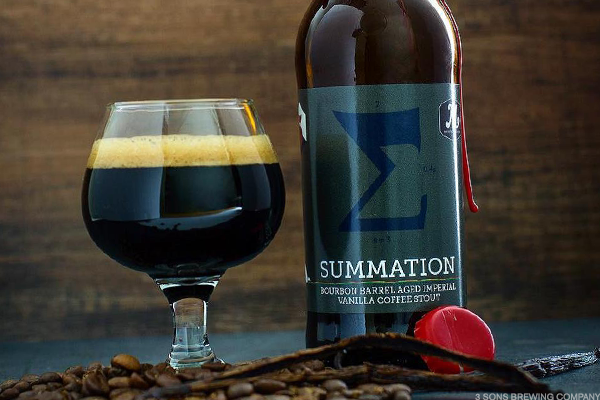 This Portland, Ore.-based brewery had only been open a year when it made just 100 gallons of this 29% ABV barleywine, but it had already created one of the most valuable beers on the planet. Owner Alan Sprints froze his Adam old ale three times to increase the alcohol content and has regularly sold it for exorbitant sums over the years to raise money for charity. It caught NPR's attention in 2013 when it fetched $2,000 a bottle at retail, but it's sold for more than double that at auction in years past. Granted, buying it on a site like MyBeerCellar doesn't send proceeds to guide dogs for the blind, but it gives you some idea just how much beer lovers are willing to pay for a finite commodity. This list could be dominate by Cantillon beers, but we'll limit this Brussels brewery's particiption to this one gem. 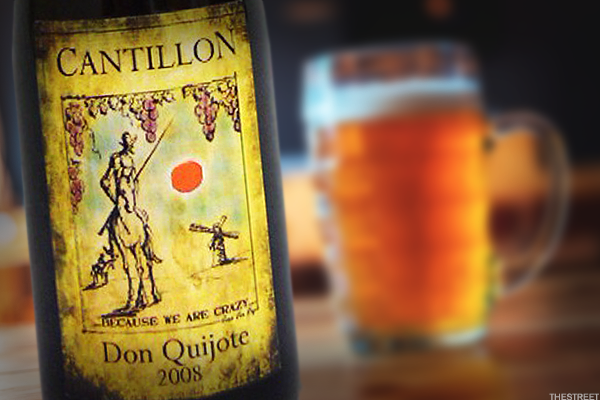 Cantillon made only 240 bottles of this lambic brewed with Italian table grapes back in 2008. Cantillon's Jean Van Roy likes brewing for friends and made this lambic specifically for Franco Fratoni of the Livingstone Club, Florence, Itay and Umberto Xebeche Santi of the Goblin Pub in Pavullo Nel Frignano, Italy. Italian grapes play in producing bottles of Cantillon's Vigneronne lambic, and this limited released wound up saying "thank you" to far more than Cantillon's intended audience. 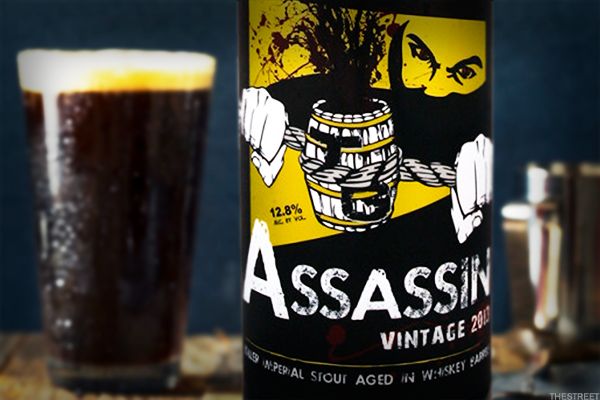 Kentucky Brand Brunch Stout gets al the press, but this 12.8% ABV variation on the Assassin line of imperial stouts has a few things going for it. For one, it's been brewed exactly once and people went insane over the fact that it tastes overwhelmingly of marshmallow. For another, it's a Toppling Goliath beer that draws a whole lot of weird money from Chicagoland beer snobs. It's up for debate whether or nor Assassin is even the best imperial stout at its brewery, never mind in the nation or world, but the moneyed folks in Chicago beer forums are willing to trade ridiculous items (Pappy Van Winkle bourbon, the first Drie Fonteinen Oud Geuze from 1999 using its own lambic) for a taste of it. Is this a $5,000 beer? It is when some fool with $5,000 wants it badly enough.